HONOLULU (HawaiiNewsNow) - The Hawai'i women's basketball team will have to knock off the top team in the Big West in order to snap a four-game losing streak when UC Davis visits the Stan Sheriff Center on Feb. 16. Tip-off is set for 7:00 p.m. (HT). The Rainbow Wahine have managed just 53.0 points per game in their last four games while opponents have averaged 69.0 and have a +8.2 rebounding margin in that stretch. Hawai'i (8-15, 4-7 Big West) is 8-5 all-time against UC Davis, including a 4-2 mark at home, but fell 70-55 at UC Davis last month. UC Davis (18-6, 9-2 Big West), which averages 7.4 3-pointers per game with a league-best 35.3 3-point field goal percentage, went just 3-of-16 from long range in the first meeting with Hawai'i this season. Morgan Bertsch picked up the slack by dominating the paint for the Aggies, finishing with a game-high 24 points on 9-of-15 shooting. Sarah Toeaina led Hawai'i with 13 points and seven rebounds and Olivia Crawford added 11 points and three assists, but UH shot just 29.5 percent from the field in the loss. Toeaina ­­­leads Hawai'i with 13.9 points per game and 16.8 points during Big West play. Bertsch contributes 16.4 points per game for the Aggies while Dani Nafekh and Pele Gianotti add a perimeter threat for UC Davis, combining for 84 of the Aggies' 177 3-pointers this season. 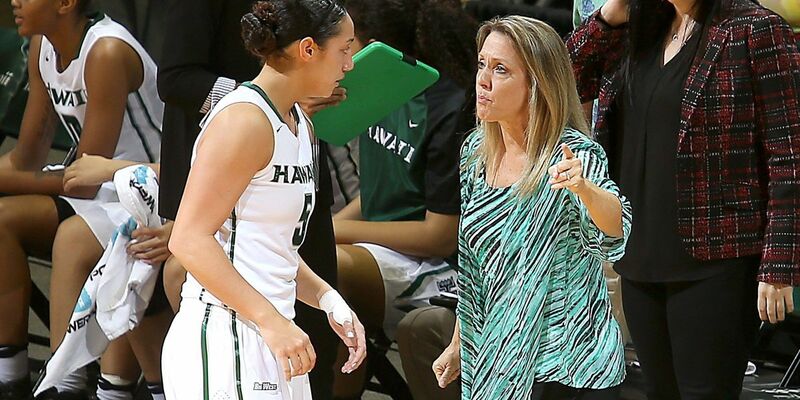 The Rainbow Wahine will wrap up their four-game home-stand against CSUN on Feb. 18. The Matadors picked up a 67-56 victory over Hawai'i in Northridge on Feb. 4. The 'Bows will visit UC Irvine (Feb. 23) and Cal State Fullerton (Feb. 25) before hosting Long Beach State in the regular-season finale on March 4. Promotions: California Hotel and Casino is the game sponsor on Thursday and will award a Vacations Hawaii trip for one to the newly renovated California Hotel & Casino during the promotional contest at halftime. Sign up for your chance to win at the sports marketing table at Gate A. Thursday's contest is Patsy T. Mink Day and family members of the late Patsy T. Mink will be honored prior to tipoff.